These before and after pictures where taken during a carpet and upholstery cleaning in Tampa FL. 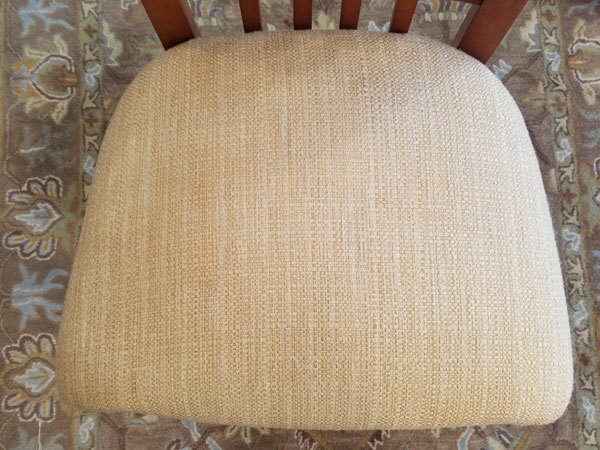 The customer had a two rooms of carpet, two wool area rugs, and this dining room chair that needed cleaning. 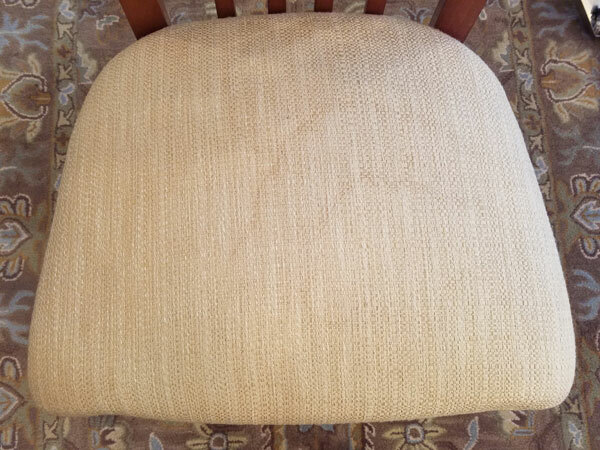 You can see in the before picture the chair had some water stains from a previous spot cleaning after spilling some wine at dinner. They were able to remove the wine spot on their own but after it dried there was a clear water mark that was left behind. Water marks happen when a lot of liquid is used to clean carpet or upholstery. The cleaning solution removes the offending stain but as it dries the cleaning solution moves remaining soil to the edge of the cleaned area leaving a water mark of fine soil. In most cases this type of water mark can removed by re-wetting the entire fabric seat and allowing it to dry. In more severe cases a professional carpet and upholstery cleaning might be necessary to bring it back to its original appearance. As you can tell in this photo we were able to remove the water mark and successfully clean the chair. If you need carpet and upholstery cleaning in Tampa FL call Chem-Dry of Tampa.